Spring is in the air and Summer is on our minds. 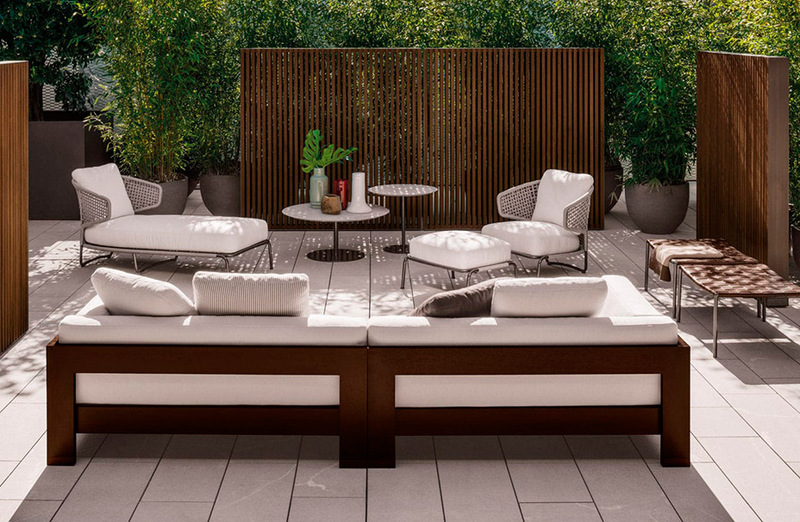 Only a few months away, we want to help you create the perfect outdoor oasis. 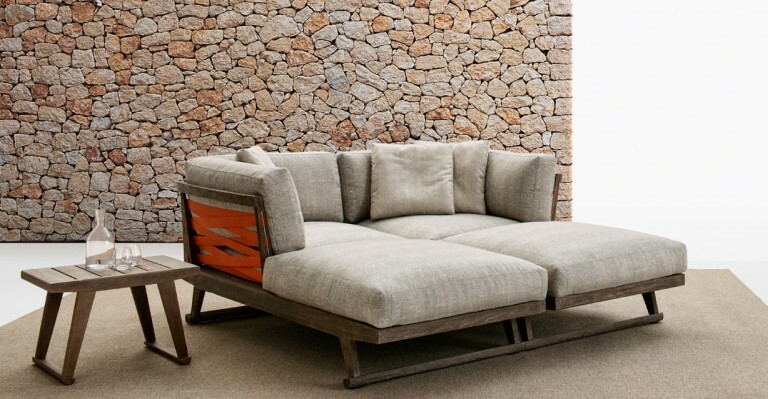 Our collection is vast and varied from sofas, loungers, tables, chair to lighting we offer the best in contemporary al fresco furniture. We’ve compiled a curated selection of some of our favorite new and timeless classics to provide some inspiration. 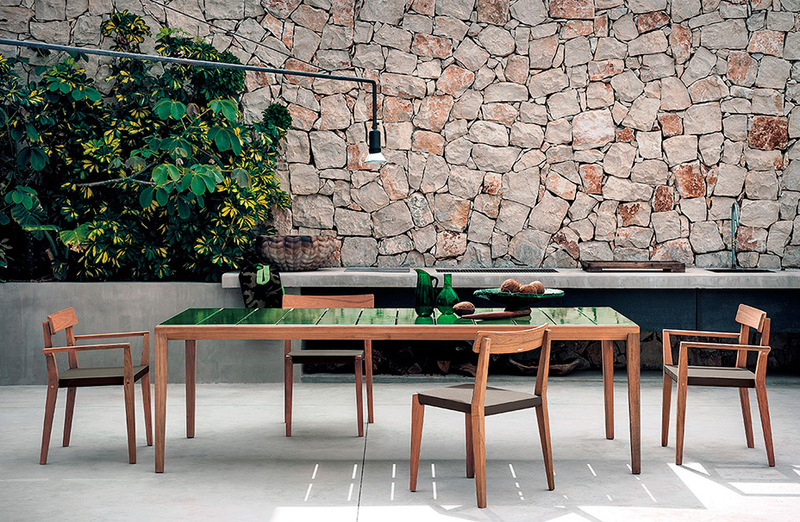 Designed by Antonio Citterio, the Gio collection is a new contemporary classic. 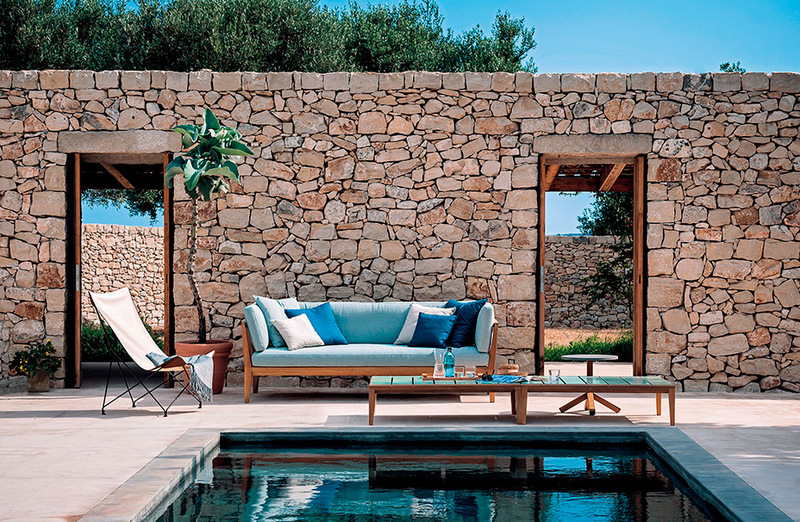 Gio series includes sofas, end units, chaise lounge, sunbeds, armchairs, chairs, tables and complements which have been developed from solid teak structures with a special antique gray finish, which provides a warm, lived-in feel. The various configuration of sofas, end units and chaise lounge can be assembled to form linear, corner and peninsula seating. 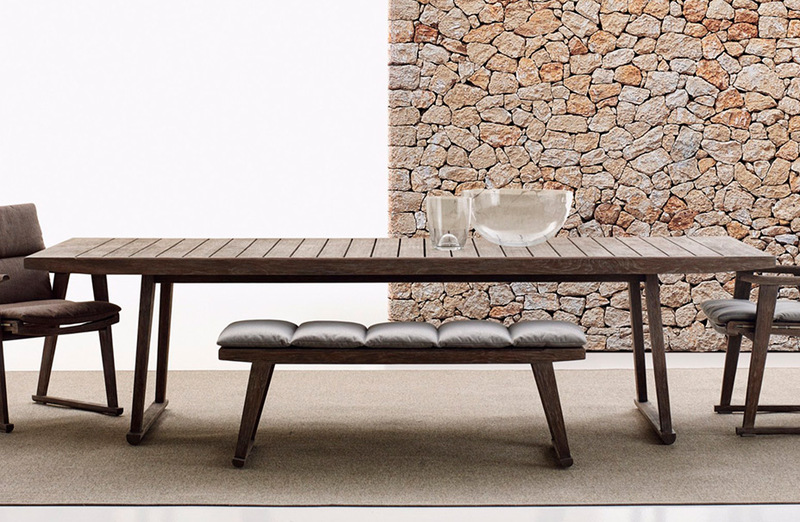 All components have a solid structure of wooden slats where backrests and armrests can be easily inserted. This type of structure allows for easily disassemble the various components, so to reduce the space needed to store the products in winter. 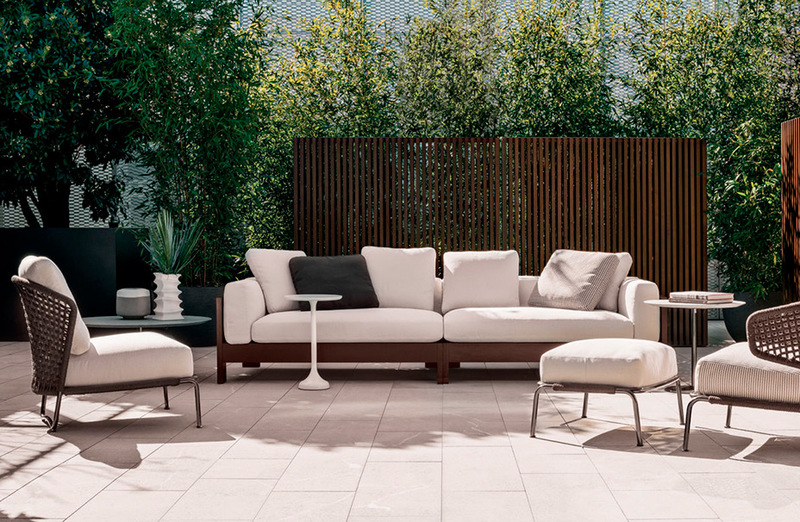 If you are looking to add a show-stopper to your outdoor space, look no further than the Canasta collection designed by Patricia Urquiola. Based on a classic geometric woven pattern called ‘Vienna Straw’, Urquiola has blown it up to a massive scale and used it to wrap very modern, high sided, rounded steel structures. 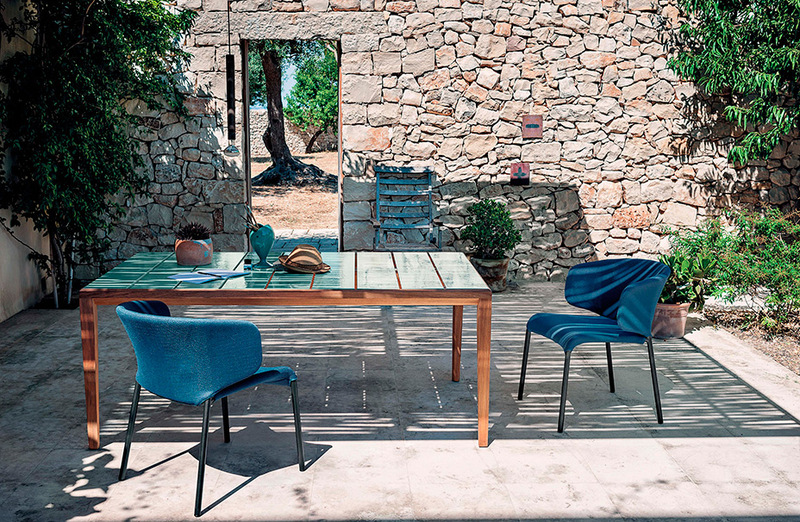 The Canasta collection includes a variety of seating options from chaises to sofas to regular armchairs as well as tables in multiple sizes and heights. 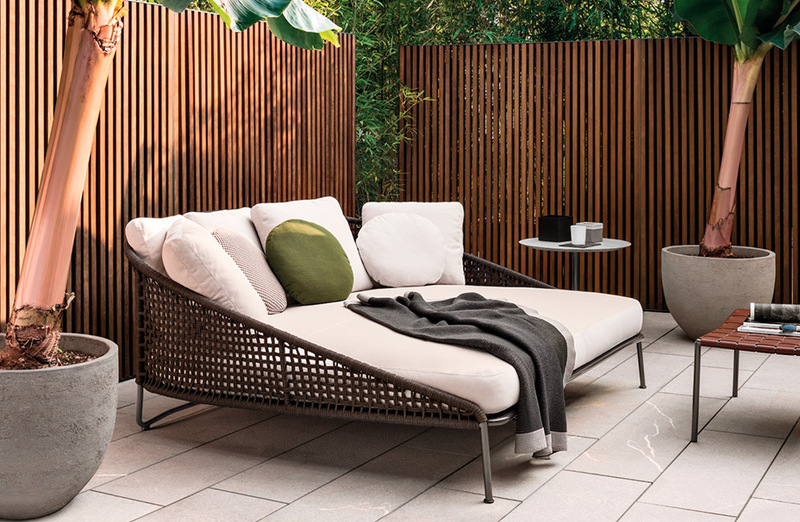 Aston “Cord” Outdoor is a family of product which includes a sofa, daybed, armchairs, chairs and poufs custom-designed to furnish homes and public spaces with style and elegance. 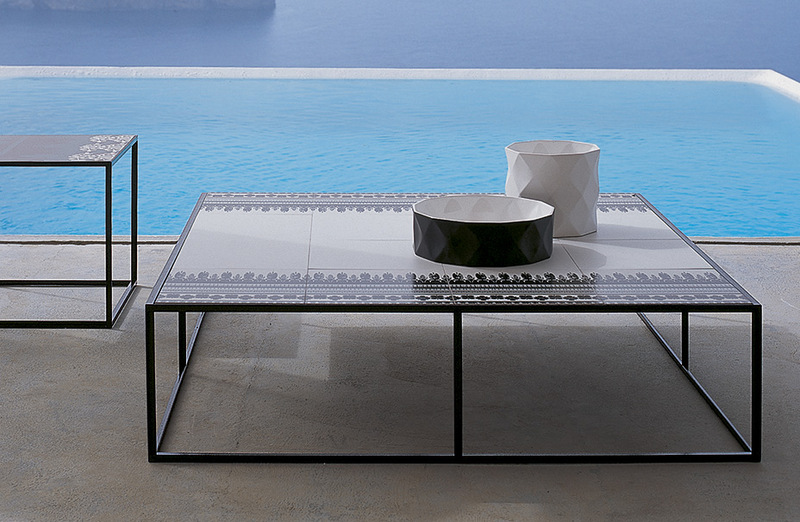 This outdoor collection comes with a pewter colored polyester painted metal frame specifically treated for external use. The seat back is in a special braided cord which is available in two color variations: light gray and dark brown. 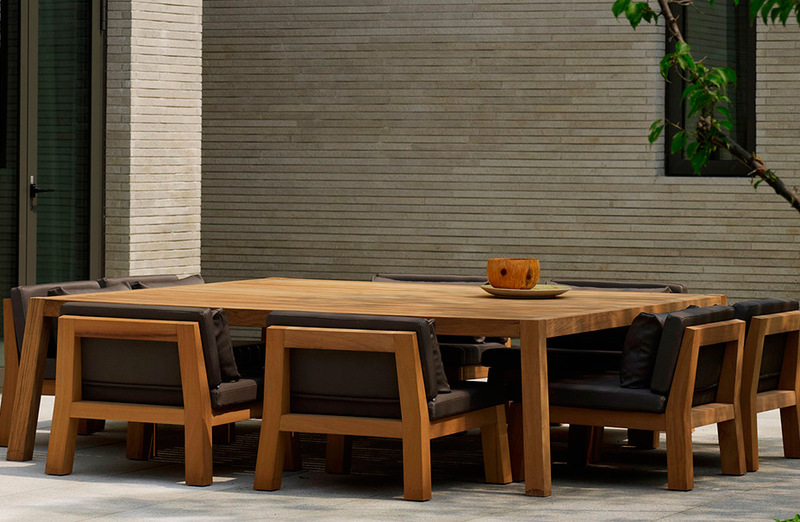 Solid and durable, the sleek detailing of the Anne outdoor collection creates a timeless addition of any outdoor living space. 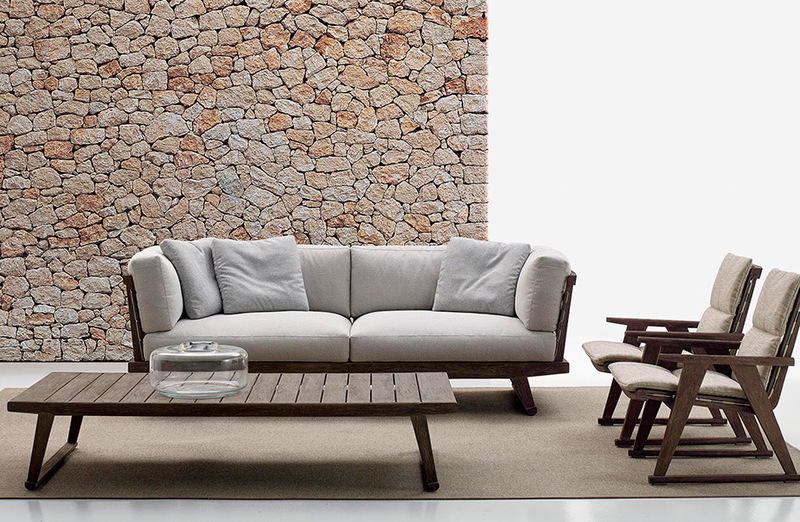 The Anne series includes a table, chair, sofa, daybed and coffee table. 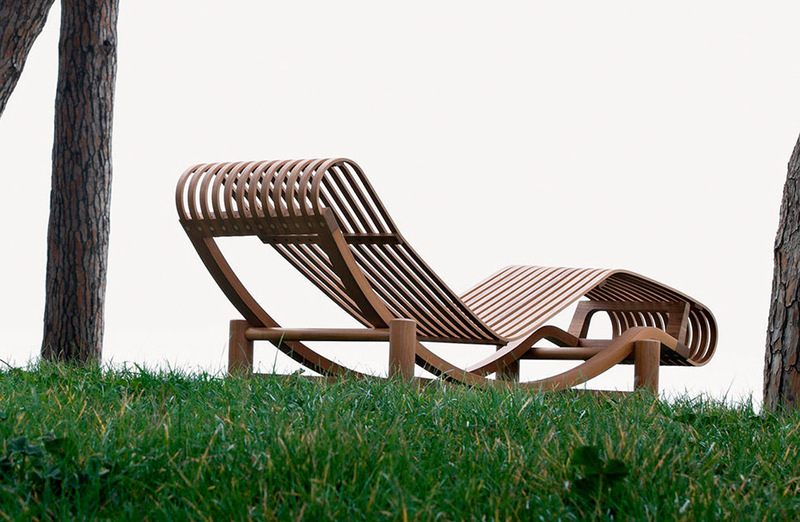 The organic shape of the Tokyo recliner is sinuous and inviting. 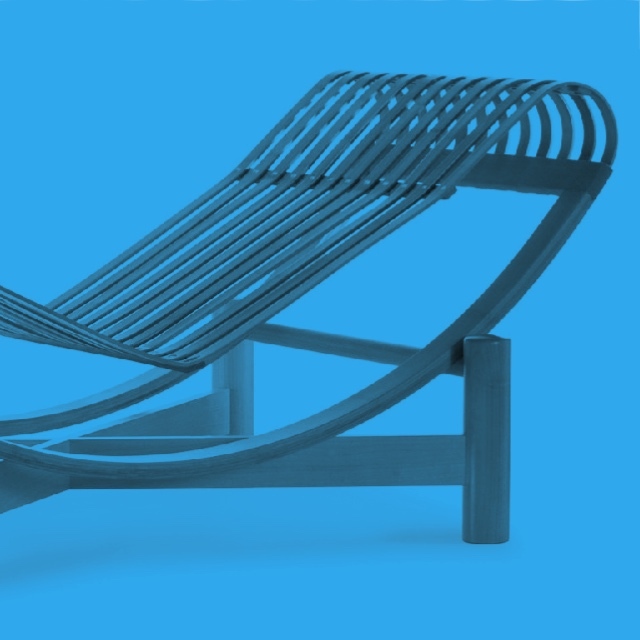 Charlotte Perriand originally conceived Tokyo when she lived and worked in Japan in the 1940’s. 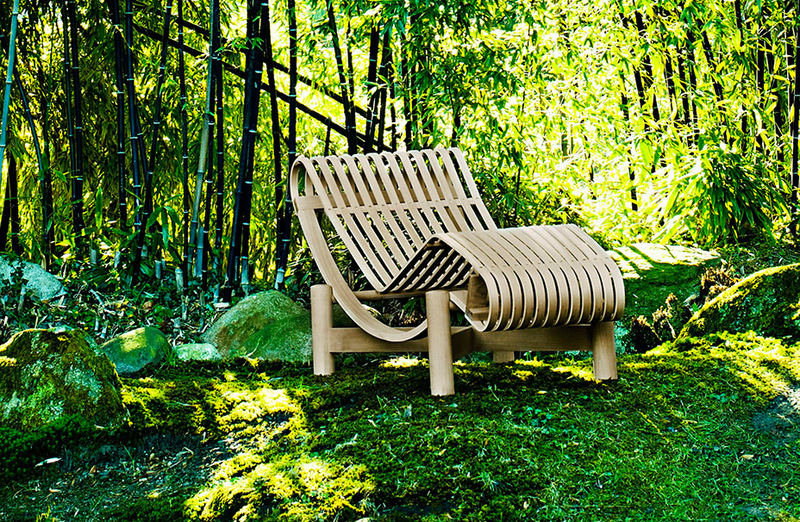 It was a re-interpretation in bamboo of the renowned LC4, a poetic synthesis between human rationalism and nature. 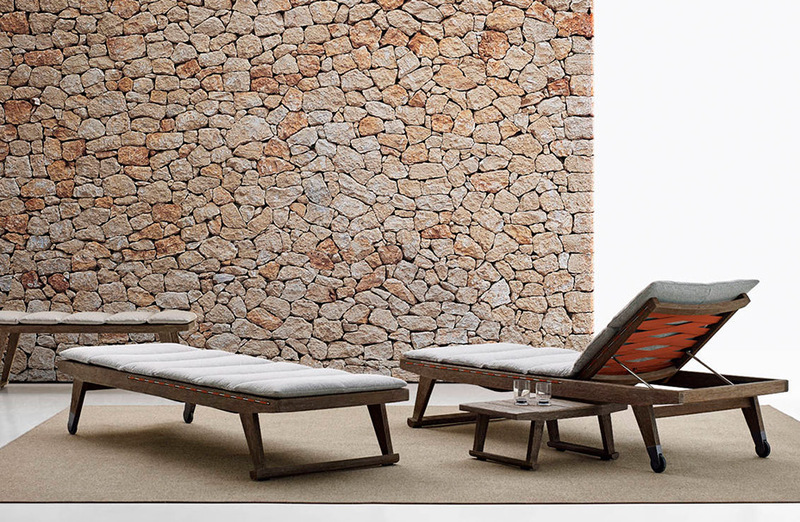 Cassina now offers the design in bamboo, teak and beech. 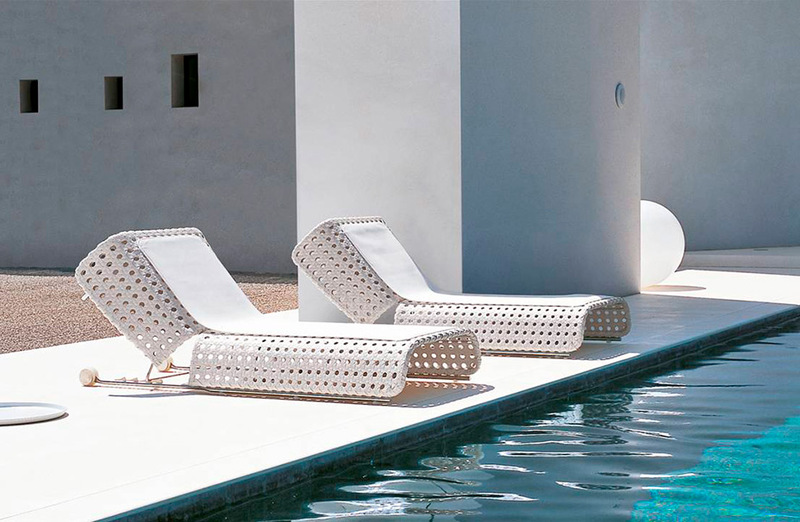 Kartell’s Bubble series takes the classic look of Chesterfield styling and recasts it in weatherproof, UV-resistant, roto-molded polypropylene. The chunky, yet lightweight forms of the Bubble Club collection are both playful and refined. 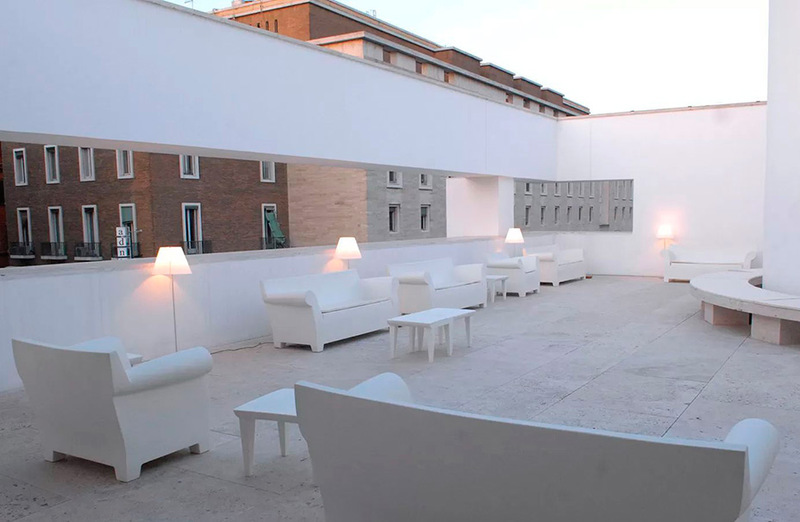 Designed by Philippe Starck in 2000, the series can be used in outdoor spaces like patios and decks, and is durable enough to be used in public and commercial spaces. 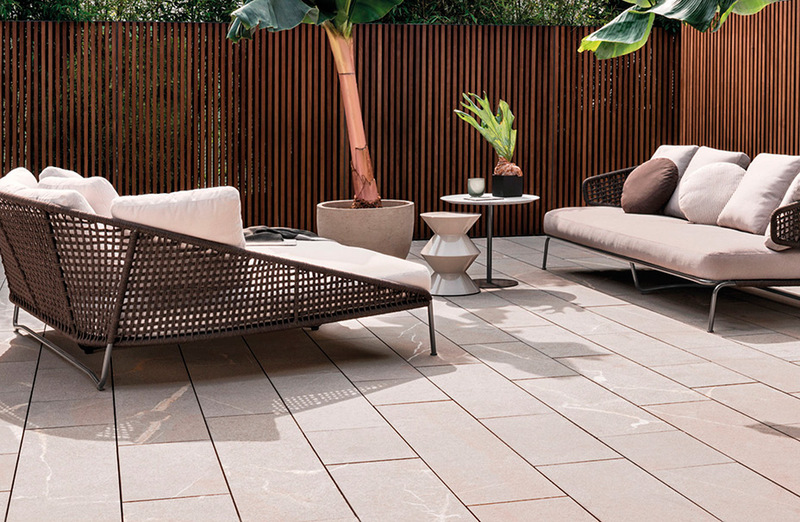 The newly introduced Double collection by Rodolfo Dordoni is a variegated and versatile new seating system designed to provide a total indoor living experience outdoors. 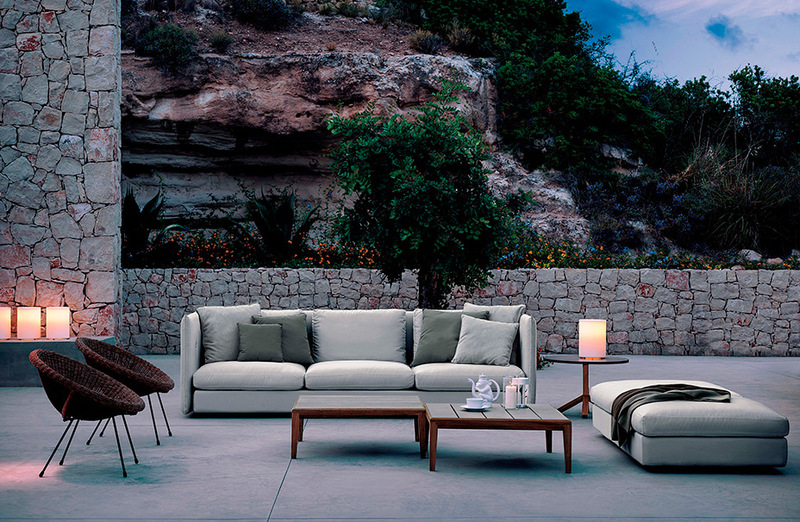 The collection includes sofas, chairs and poufs. 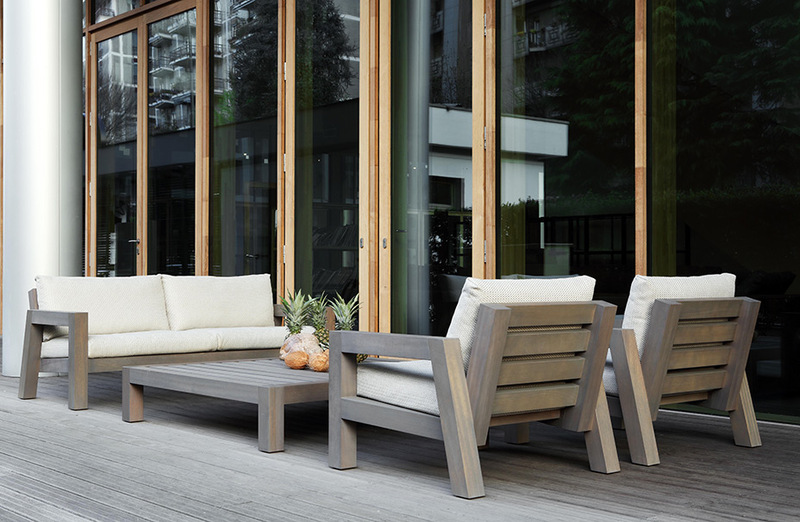 The Teka series designed by Gordon Guillaumier is durable, yet has an air of lightness. This innovative new collection harmoniously combines natural and cutting edge materials to ensure sustainability throughout many seasons to come. 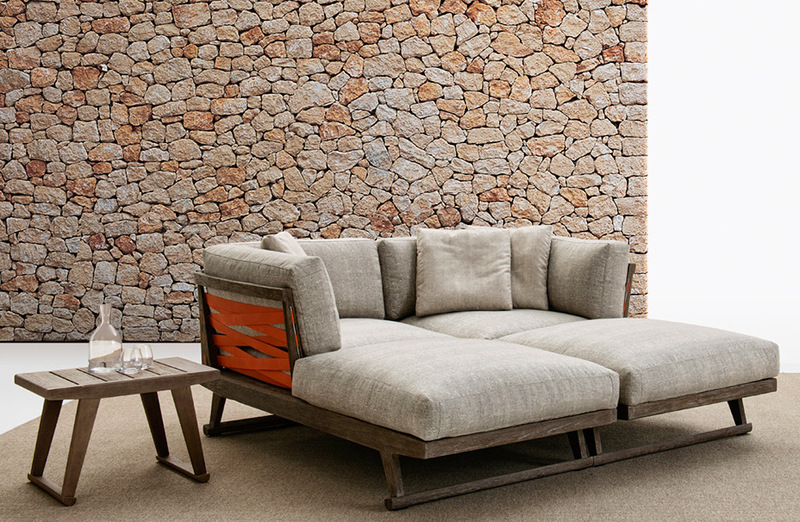 The Teka series includes sectional sofas, tables and chairs.